By making a reservation or staying in the hotel you agree to these Terms and Conditions. You confirm acceptance once again by signing our registration form at check-in. For the security of all our guests you will be asked for photo ID and a valid credit card at check in. Photo ID means a current valid Passport or Driving Licence. All rates are non-refundable unless expressly stated otherwise. Non-refundable rates shall be charged in full at the time of booking. Accordingly we require a valid credit card at the time of booking. Flexible rates can be booked directly with the hotel by contacting us by email at reserve@melitahotel.com and explicitly asking for a refundable room type at the time of booking. 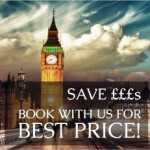 As is the case with airline fairs, non-refundable room rates are cheaper than refundable room rates which is why we can offer you the best prices on our website. In the event that you request a refundable room by email, and we have confirmed that refundable room with you, the first night will always be charged on the reservation. Groups/Agencies/Corporate bookings payments: 50% of the total stay payable on reservation and the balance 21 days before arrival. Please note that you are still liable for the accommodation in full as set out below in the Cancellation Policy. All rooms are on a room only basis unless expressly stated otherwise in your booking, at the time of booking. The booker will need to complete a credit card authorisation form in order to confirm a booking that has been made with a credit card that differs in name to the booker. This is to help prevent credit card fraud. You will need to obtain this by emailing reserve@melitahotel.com and then return it back to that email address completed in full. Until we have this and have approved it, the reservation is not confirmed and we reserve the right to cancel the room. Check-in is from 15:00 on the day of your arrival until 05:00 the following day. You are welcome to come to the hotel earlier, however you will not be able to access your room until that time. Subject to availability, we may be able to provide day use of your room and early check-in, however this will be subject to additional fees of up to 50% of the room rate. Please enquire at reception. Should you wish to arrive early at the hotel and then leave your luggage and return after 15:00, then we can offer this service. Luggage storage service is available as per below. Check-out from the hotel is 10:30. Subject to availability, late check-out may be available on the day. Extra fees apply. Please enquire at reception. If you do not turn up on the day of your check-in by , then your whole reservation will be cancelled and you forfeit the rest of your stay. All non-refundable rooms are exactly that, not refundable. It is recommended you take out holiday or travel cancellation insurance to cover every likely eventuality. When you book accommodation you are entering a legally binding contract. 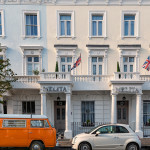 If you have to cancel your trip or fail to take up the accommodation, for whatever reason, you will be liable in full to the accommodation provider, in this case The Melita London. If you have to cancel your reservation, please cancel with the agent you booked with or if booked through www.melitahotelcom or by telephone, contact the hotel to obtain a Cancellation Number. If you don’t inform the hotel and then fail to take up the accommodation booked on the first night, for whatever reason, you will be liable in full and your reservation automatically cancelled. If you have a partially refundable rate, every effort will be made to re-let the accommodation. If the hotel succeeds in re-letting it there you will be liable for an administration charge equivalent to one night’s stay. If the accommodation is not re-let you will be liable in full. Guests agree and undertake to use their room responsibly. Therefore, any conduct contrary to accepted standards of behaviour and public order will result in the hotel asking the guest to leave the hotel with no compensation and/or refund if a payment has already been made. 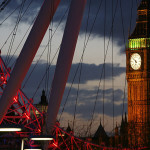 If no payment has been made, the customer will have to pay the price of nights already stayed before leaving the hotel. Photographs displayed on the website and mobile services of the hotel or its partners are merely indicative. Although every effort is made to ensure that photographs, graphic images and text used to illustrate hotels provide as accurate an impression as possible of the accommodation offered, variations may occur, in particular as a result of changes to furniture or possible renovations. Specific rooms cannot be guaranteed. 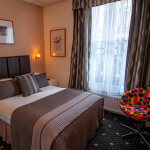 Reserved rooms are normally available to the guest from 15:00 on the arrival date, and we reserve the right to not provide access until 15:00 on the day of arrival. We offer an early check-in service, however additional fees will apply. Please enquire with reception upon arrival. This is subject to availability. Please also note that since housekeeping are servicing the rooms in readiness for the arrivals, there may be noise across the property. Rooms must be vacated no later than 10:00 on the day of departure. Additional charges may be applied to the guest account for later departures, the hotel may charge £20 for late checkout which would be at the latest 12:00, or 100% of the full published rate for that day if after 12:00. Please note we do not have a lift in our building. You may be required to walk up to five flights of stairs. We also do not have a porter service as a three star hotel. You must therefore be able to carry your own luggage up to your room. Luggage storage service may be offered subject to availability. Each guest is responsible for any injury or damage to the hotel, its property or any third parties caused by the items stored or by any negligent act or omission of the guest. The hotel may remove and dispose of any item stored that breaches this Condition without notice to the guest and without any responsibility to the guest. The hotel may also report to any relevant authority any illegal or suspected illegal activities of the guest or any hazardous item stored. You acknowledge that all luggage is left entirely at your own risk. The hotel is not responsible for any damage to, or loss or theft of, items stored with the hotel. You confirm that you have adequate insurance in the event of any damage, or loss or theft of, items stored with the hotel. Please note that you are responsible for using the right adaptors and transformers for your electronic devices regardless of where you have purchased them. After all, you know what appliances or devices you have and what voltage they are. We do not know this. In the event of any damage caused to your devices, we accept no responsibility whatsoever, and where damage is caused to the property you will be responsible for any costs incurred in remedying that damage. The hotel takes GDPR very seriously and data security and privacy is a top priority, ensuring that the data of our guests is protected. The hotel is the data processor, not the controller. That means, that guests are in full control of the data at all times. By staying in our hotel, you are consenting to us contacting you by email or any other means for future marketing purposes. Should you wish not to be contacted, please make this known at the time of check in before signing the registration form, or by directly replying to any correspondence explicitly asking us not to contact you again. We shall then proceed to update our records accordingly. The hotel strives to ensure that the contents of this site are accurate and reliable. However, the hotel and its agents are not infallible, and errors and/or omissions may sometimes occur. Therefore, the hotel disclaims any warranty of any kind, whether express or implied, as to any matter whatsoever relating to this website and any links thereto and therefrom, including, without limitation, as to the merchantability, non-infringement of intellectual property, or fitness for any particular purpose. The hotel does not warrant the accuracy, currency or completeness of the contents, including, without limitation, any information relating to prices or availability. The hotel will from time to time revise the contents and/or the products, services and resources described therein and reserves the right to make such changes without any obligation to notify past, current or prospective visitors of this website. This letter constitutes the entire agreement between the hotel and guest and supersedes and extinguishes all previous agreements, promises, assurances, warranties, representations and understandings between them, whether written or oral, relating to its subject matter. The guest agrees that it shall have no remedy in respect of any statement, representation, assurance or warranty (whether made innocently or negligently) that is not set out in this agreement. The guest agrees that it shall have no claim for innocent or negligent misrepresentation or negligent misstatement based on any statement in this agreement. These Conditions and any non-contractual obligations arising out of or in connection with them are governed by, and will be construed in accordance with, English law. The English courts have jurisdiction to settle any disputes that arise under these Conditions. Nothing in these Conditions shall constitute a partnership or joint venture of any kind between the hotel and any guest or constitute either party the agent of the other for any purpose. In the event that any part of these terms is deemed invalid, the remainder shall remain in full effect in it’s entirety. For the avoidance of doubt, if there are missing, confusing or conflicting provisions between these Terms & Conditions and any translated version, these English Terms & Conditions will prevail.